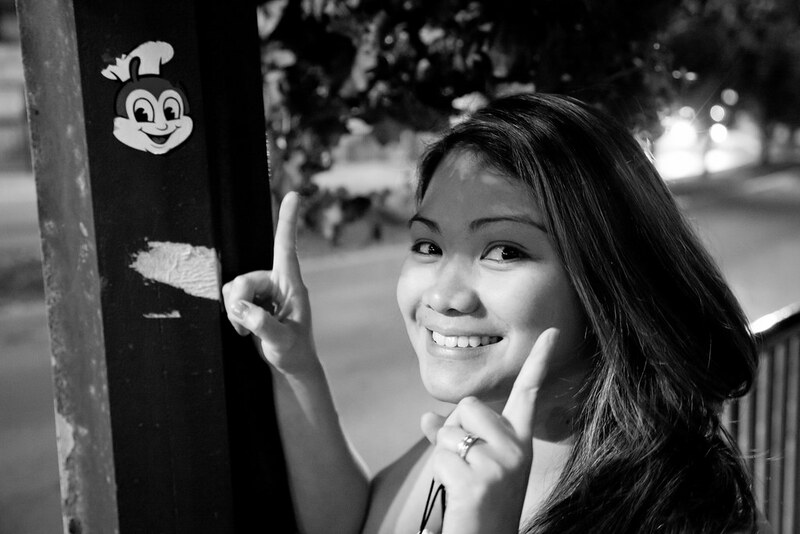 Look at what we found stuck on one of the lamp posts when we visited Niagara Falls... Jollibee! Jollibee (for the non-Filipino folks) is the biggest hamburger chain in the Philippines and the bee on the post is their adorable mascot. Think of it as the Filipino Mcdonald's and if you're still curious, there are a couple of Jollibee restaurants spread out all over the US. The nearest for us is in Queens, NY but you check out their USA Site for more info. So next time that you happen to be in the Canadian side of Niagara Falls and walking down Murray St. , try hunting for that smiling bee in the lamp post. Cheers!